ALL ABOUT CEIL: Why the queue? I had the chicken rice once but i did not get too impressed then. I happened to be there for lunch last Saturday. There was a queue of about 10 people right in front of this stall. I decided to give it another try so i joined in the queue and waited for about 15 minutes before i gotta order. I wanted Roasted Chicken Rice with liver added. I requested to have Chicken Drumstick for an additional 0.50 cents. I paid a total of $3.50. It was served with bits of achar and a bowl of soup. 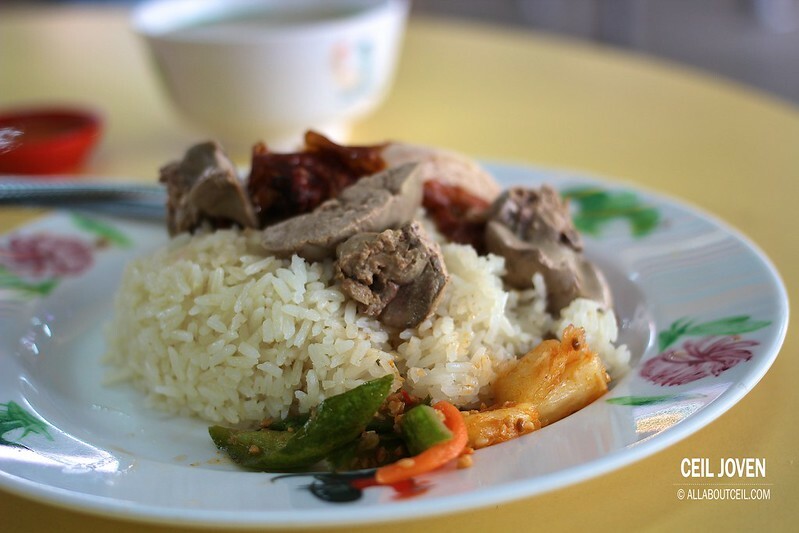 A substantial portion of rice was served with a good portion of deboned chicken drumstick and liver. I took a mouthful of rice. The texture of the rice was slightly dry with no distinctive taste of chicken broth. It tasted as good as plain rice perhaps that explained why the texture was not even a slightly greasy but it was rather grainy though. The roasted chicken did not fare too impressively as well though it was deep-fried well to achieve the delightful tenderness of the meat. Apart of the slightly greasiness, the skin tasted quite flavorful. The liver was nicely poached then sliced it in thick pieces to give it the desirable texture. The achar was a good addition to complement the meal nicely. 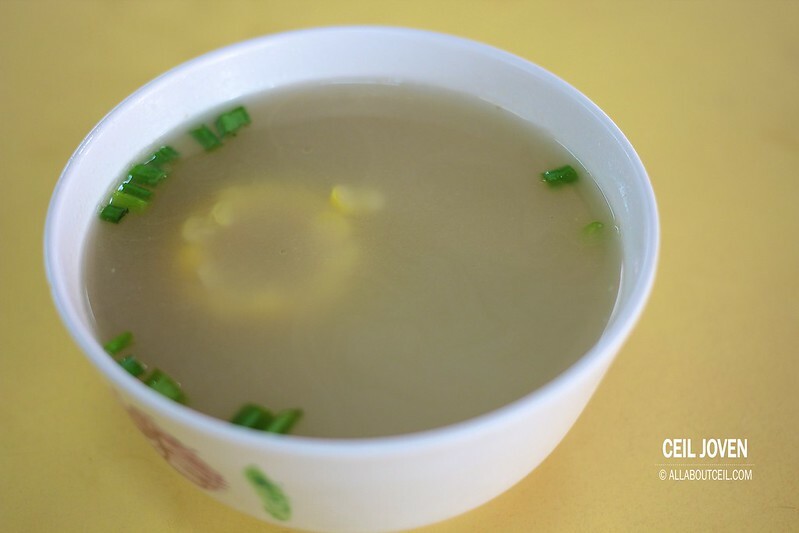 The flavourful soup served with a piece of sweetcorn in it and garnished with bits of chopped spring onion. 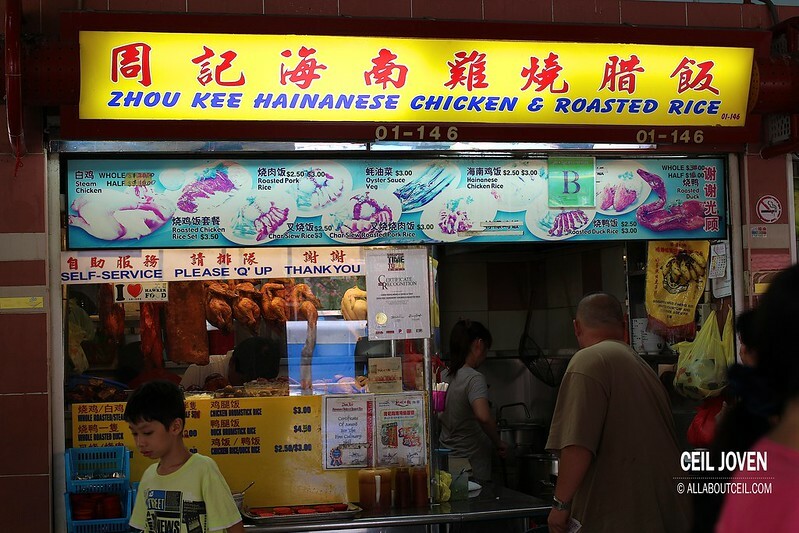 I could not quite understand the reason behind such a queue as the taste of the chicken rice served is not outstanding despite those nomination and awards presented on the front of their stall. 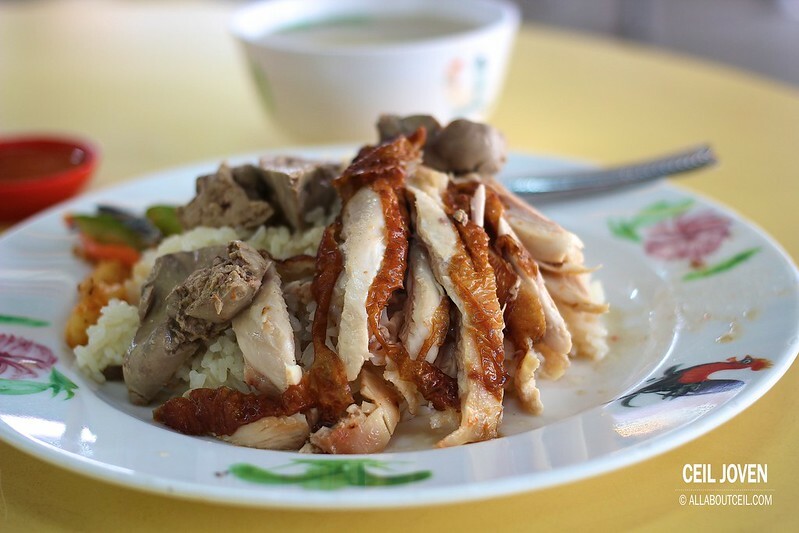 And, there is actually a better tasting chicken rice stall in this food centre with an equally or a longer queue and that stall would be a must preferred choice for me. Block 527 Ang Mo Kio Avenue 10 #01-147 Cheng San Food Centre SINGAPORE 560527.